Conservative political pundit Dinesh D'Souza looks at 2016 presidentiacandidateHillary Clinton and the history of the Democratic Party. Co-directed by D'Souzaand Bruce Schooley. Mainstream media reviews such as Variety are already describing the new Dinesh D'Souza movie as an attack piece on Hillary as she runs for President. 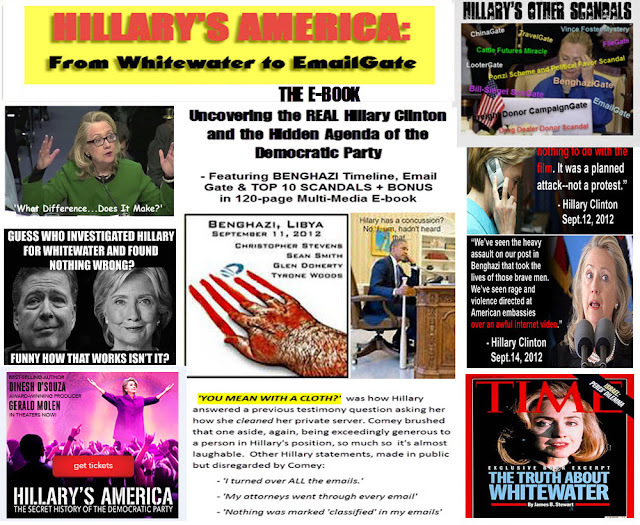 But, 'Hillary's America: The Secret Story of the Democratic Party' is so much more. 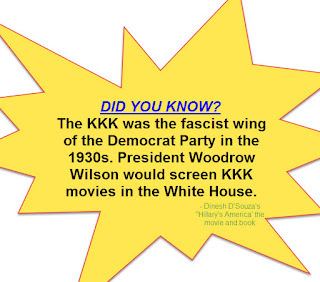 D'Souza spends at least half the movie NOT even discussing Hillary directly but, rather, setting the record straight on the History of the Democratic Party - something that the you won't find in today's history books (at least not those found in our children's schools.) Instead, D'Souza gives us a much-need history lesson-update on race relations in America from the beginning. And, he does quite an eye-opening job as one can in an hour and forty-seven minute movie, showing how key Democrat figures like Andrew Jackson and Woodrow Wilson set black and white race relations back after the Republican Party, and chiefly Abraham Lincoln had set 'Negroes' free during the Civil War period. supposedly, improve the lot of black people, was really more self-serving than anything to help get Democrats elected while lining the pockets of the Administrations that followed President Kennedy-perhaps the last Democrat President that showed a true interest in really helping the blacks. Then, we learn much about Saul Alinsky, a truly dark figure who has only become well-known since the Obama Administration. Obama, like Hillary, have been disciples of Alinsky's 'Rules for Radicals' book in which Alinsky offered what are no longer so secret ways for Democrats- or, rather, socialists-to take control of America by 'keeping down' not only the blacks but virtually every other 'non-believer' of the Alinsky system. In a shocking interview shortly before he died in the early 1970s, Alinsky admitted to a belief feathering the nests of the few at the expense of the rest of society -right out of the Communist play book. D'Souza shows how Alinsky and his disciples, including Hillary, will 'deny, deny, deny' after doing their misdeeds while trying to distract and obfuscate. While there is so much information new to most of us, it's hard to immediately validate everything D'Souza tells us. While D'Souza does take a pretty one-sided approach, well that is his strong belief and desire. While, there's no doubt fault to be found in the history of some of the Republicans, too, we've yet to hear any solid rebuttal from the Democrats, though that could come. In the meantime, this writer plans to fact check , which will be a big project to cover over 200 years of American history. Though D'Souza gives us footnotes in the credits, the Democrats are open and may and should question D'souza's findings if there are truly things wrong. No doubt there are Republican leaders , too, who have been less than forthcoming when it came to race relations while bringing up America. Interesting to see so many un-supported media reviews - here's another (Washington Post) - and the many respondents who don't let the reviewer off with his non-supported claims. How can a guy get away with calling D'Souza's film making 'lazy' with no history? It's anything but. As one of the commenters notes, he's probably some young, underpaid, un-educated dolt. Pretty sad if newspapers today can't afford quality writers enough so to at least get facts right. . FINAL NOTE: Just to show what this movie could and should mean to society, we are already seeing even our so-called leaders/politicians unaware of the true history of America. Case in point: On ABC's 'This Week' Minnesota assemblyman Keith Ellison called Donald Trump 'the worst candidate since George Wallace,' probably unaware that Wallace was a Democrat.